ORANJESTAD - The Council of State has involved the Charter of the United Nations (UN) in the assessment of the administrative intervention on St. Eustatius. The Council’s communications department said this in response to statements made by leader of Progressive Labour Party (PLP) Clyde van Putten. Van Putten said the Netherlands is guilty of a violation of the UN Charter, which among other things describes the relationship between former colonizers and colonies. For example, the interests of the inhabitants must be respected, their well-being must be promoted, and they must be able to develop self-government. According to Van Putten, there is a “continuous and intentional violation” of that agreement. The UN Charter was not mentioned specifically in the advice of the Council of State’s Advisory Division. The Council of State only wrote that the temporary take-over of Statia’s administration was not in conflict with the Dutch Constitution, the European Convention on Human Rights and the International Covenant on Civil and Political Rights. However, the UN Charter has been included in the assessment. “We can confirm that the Advisory Division involved the UN Charter in the preparation of the advice,” the head of the communication department stated. In general, a policy analysis and a legal and technical law assessment take place for every advice. The legal aspects are always tested against higher law, including the UN Charter, it was stated. Statia’s international legal counsel and Managing Director of Perseus Strategies Jared Genser made known that he recently requested answers from State Secretary of Kingdom Affairs Raymond Knops regarding a letter he sent on December 18, 2017. In the letter he also protested the Dutch Government’s decision to seek the immediate dissolution of the elected and appointed Statia Government. “Your Government’s actions are not worthy of a great democracy,” Genser stated in his letter. 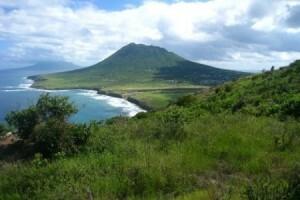 The lawyer stated that on a “legal and moral basis” the Island Government is demanding that the Dutch Government cease and desist from its illegal actions. “Should it fail to do so, the Government of St. Eustatius will act aggressively to defend the rights of its people both domestically and internationally, through all venues provided by law,” according to Genser in the letter. Genser said the Dutch Government’s “surprise” decision, without consultation with the elected Island Council and the people of Statia, is “as shocking as it is in flagrant violation” of the Netherlands’ obligations under Article 73 of the UN Charter. The lawyer said there can be no interpretation of “self-government” or “free political institutions” that would allow the Dutch Government to “unilaterally decapitate” the elected and appointed Government of Statia in a “swift measure that was rubber-stamped by your House of Representatives and Senate within merely a day,” he wrote in the letter. Genser said such a decision is “wholly incompatible” with the requirements of General Assembly Resolution 742, which says such territories must be provided “a full measure” of self-government. “Given the unilateral, arbitrary, and capricious way in which this decision is being imposed, it is equally clear that your Government is punishing the citizens of St. Eustatius for having elected a Government that has repeatedly demanded its rights be respected. This is in clear violation of their rights to freedom of opinion and expression under Article 19 of the International Covenant on Civil and Political Rights,” Genser said. Genser said the Dutch Constitution says “unequivocally” that international treaty obligations, such as those found in the UN Charter and ICCPR, supersede the Dutch law on which the Dutch Government justifies their take-over. “They should…recall that the Dutch Government has proclaimed publicly on its own website: ‘Human rights are rights that apply worldwide, to all people, in all places, at all times. They are the foundations of a democracy in which every person counts. The Netherlands strives to protect and promote human rights all over the world.’ Yet in this one action they denied the elected Government and its people any rights of due process, any independent review of the case by a neutral third party, and an opportunity to challenge the Dutch Government’s decision,” stated Genser.